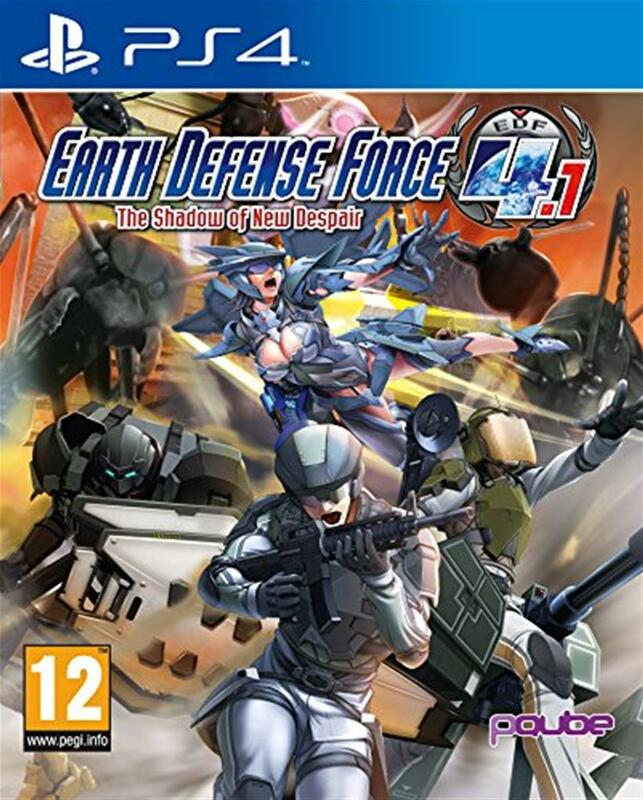 The Earth Defense Force series has been around for quite a long time at this point, since the PS2 at least and has quite a vocal cult following around it. Yet, somehow, despite my love of weird low-budget Japanese games, I had never tried out an Earth Defense Force game before now. 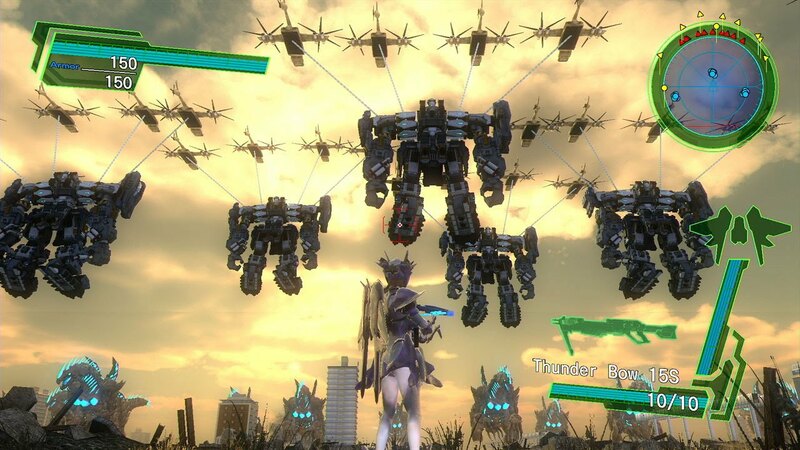 As an introduction to the series, Earth Defense Force 4.1 is a quite a lot of fun but it overstays it’s welcome and gets stale quickly. 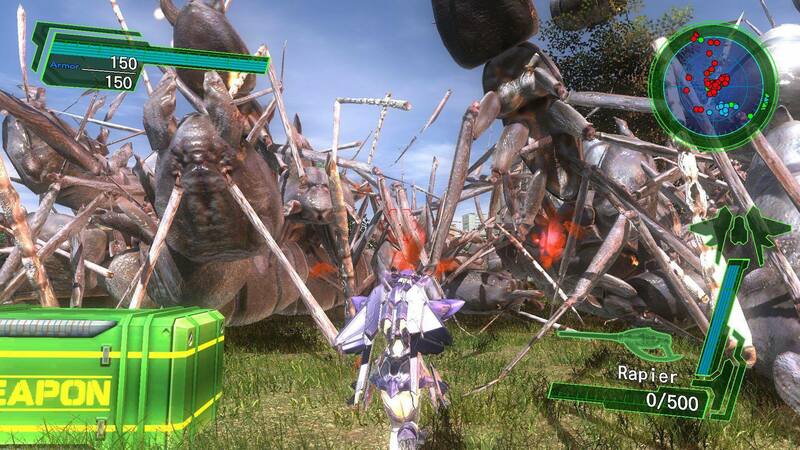 At its core, Earth Defense Force 4.1 is about shooting giant creatures that are devastating Earth. Apparently this happens quite a lot in the time period that the game is set, given the titular Earth Defense Force exists with tons of soldiers, weapons and crazy mechs to fight against this extraterrestrial bug threat. You take the role of one of four classes of Earth Defense Force soldiers and slaughter your way through the enemy hordes. And slaughter you will. The game does a fantastic job of ramping up the enemy counts as you play. The early missions will pit you against a couple of dozen giant ants, then more ants, some giant spiders and ants, giant spaceships dropping dozens upon dozens of mixed types of bugs, giant Godzilla-esque creatures and eventually just stupid crazy numbers of creatures to fight. Harder and harder variations of creatures are introduced too and Earth Defense Force quickly goes from a silly light arcade shooter to an incredibly difficult slog against bullet sponge monsters. Shooting giant bugs is fun, especially as they explode into massive puffs of viscera upon destruction and boy does Earth Defense Force give you the toys to make them explode. There are four classes to play as and they all fill very different roles. I primarily spent my time playing as the Wing Diver which is an incredibly anime looking lady who has a jetpack and a bunch of laser weapons, but all four classes are fun to play as. As you make bugs go pop you unlock more and more weapons and armour (which has no cosmetic worth and is literally just a number) to equip and better prepare you for the future levels. Like many games before it, this simple grind of; kill enemies – get better stuff, is fun! It’s great to mindlessly blast giant ants while shouting your Starship Troopers quotes of choice, but it didn’t last for me unfortunately. After a few hours it felt more like a slog to blast my way through hordes of bugs/mechs/whatever was being thrown at me. 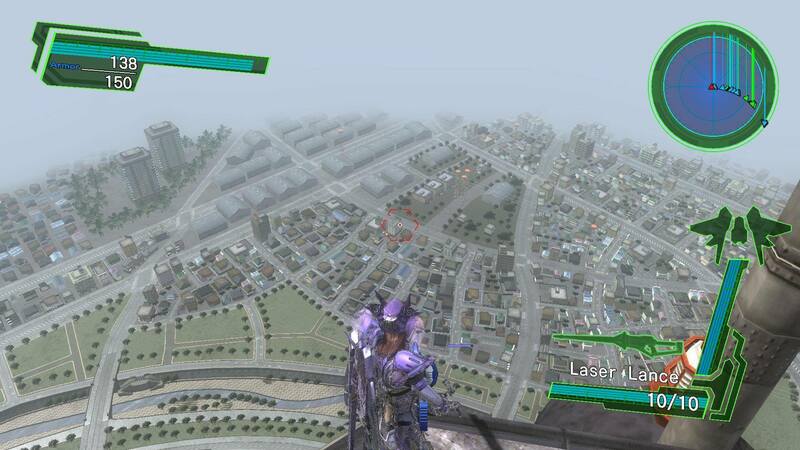 Apparently Earth Defense Force 4.1 is actually an upgraded version of a 360/PS3 entry in the series. Which shocked me because graphically it looks far worse than that. The environments are very flat looking and simplistic which in cities is made up for by some decent destructibility of buildings, but in the underground areas and countryside it’s just ugly for ugly’s sake. Although they manage to throw a stupid number of them at you, the enemy bugs look incredibly simplistic and animations are kept to a minimum. Despite all this the frame rate still chugs at times and in fact I had the game completely freeze on me on multiple occasions as I rained rockets down from the sky into a sea of bugs. All this is somewhat forgivable given how cheesy the tone of the whole game is. It feels like a budget game. Like a b-movie made interactive. Ally soldiers run around chanting “E.D.F! E.D.F!” like drunken footie fans after a game, every character is voiced by some anime voice actor or actress hamming it up in what is often some of the best-worst performances I’ve ever heard. The presentation is terrible on a technical level but there’s something about it that just oozes charm despite that. Every mission in the game can also be played cooperatively online or locally splitscreen. I ended up enjoying single player more than this but the option is there if that’s your thing. So, after sinking a bunch of hours into my first Earth Defense Force game, would I recommend it? Sure, maybe when it’s on sale though. What is there is shallow from a gameplay standpoint but also filled to the brim with B-movie charm and content. It’s a fun, goofy game with tons to do and some really absurd and memorable moments.